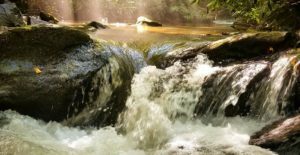 Considered by many veterans to be one of the best trout streams in Western North Carolina, Big Snowbird Creek provides anglers with a multitude of opportunities to catch rainbows, browns and brook trout. 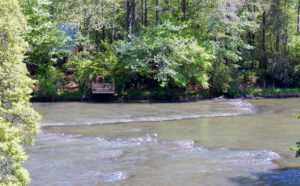 Big Snowbird Creek begins as a small brook trout stream in the Snowbird Mountains near the Cherohala Skyway and expands to over 35 feet wide in some places. 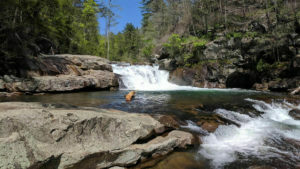 Three waterfalls keeps Big Snowbird’s large native brook trout population mostly separated from migrating rainbows and browns, which gives anglers some unique opportunities to target different species. 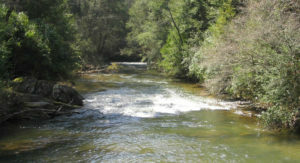 Big Snowbird Creek is an outstanding choice for fly fishing enthusiasts of all skill levels, but getting to the right spots can be tricky so an experienced guide from On the Fly Excursions is your best chance to land a trophy catch! Pricing is per-angler and includes all the necessary essentials for the ultimate guided experience, including rod, reel, flies, waders or boats, water, cooler and ice. Full day trips include a catered lunch. 2018© On The Fly Excursions. Website by LISA. SEO by Lanier Tech Pros.